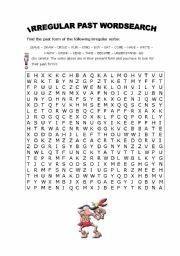 Wordsearch of the irregular form of a list of verbs given in their present form. Very useful as time saver. 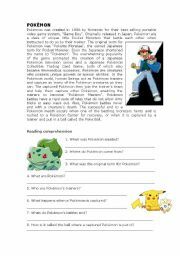 A reading comprehension worksheet about Pokemon´s history. 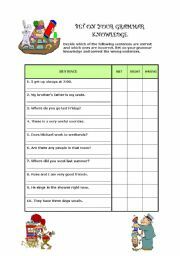 Great for wh- questions revision. 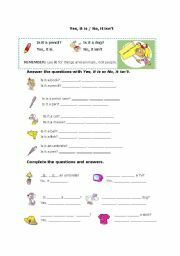 Exercises on describing people and making sentences using AND or BUT. 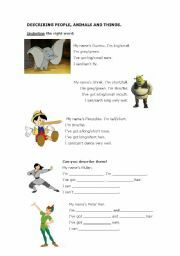 Revision worksheet on 3rd person singular (BE, HAVE GOT, CAN) and vocabulary areas such as adjectives, animals and parts of the body. 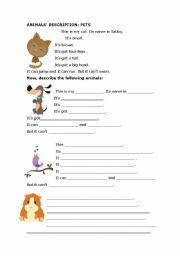 Revision of 3rd person singular of BE; HAVE GOT and CAN, and vocabulary areas such as pets, parts of the body and adjectives. 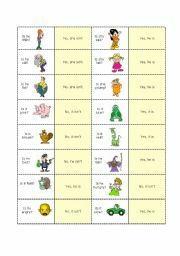 Funny way for kids to understand and practise short answers with the verb BE and some common adjectives. Hope you like it. 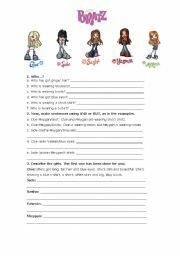 REALLY FUNNY ACTIVITY TO USE WITH TEENAGERS AND ADULT LEARNERS IN AN ADVANCED LEVEL. THEY TRY TO IMAGINE NEW USES FOR WELL KNOWN OBJECTS AND COMPETE FOR THE PRIZE OF "PRODUCT OF THE YEAR". 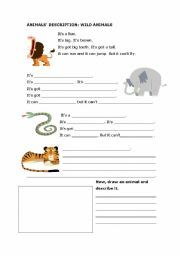 Easy worksheet for those kids who are beginning with asking about things and animals and short answers. 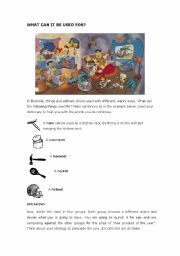 Pictures taken from http://www.clipproject.info. There are lots of cute, free cliparts.